THIS IS A LOVE STORY. On a rare snowy night, in an almost empty university campus coffee house, a young redhead hippie woman (Tricia) with poetry and camera in hand meets a young college professor (Forrest) passionately playing guitar. How romantic. We quickly wedded common passions: nature, gardening, photography, writing, music, health and fitness, helping others, and very importantly, daily meditation. As forms of service, our interests are supported by a philosophy of Reverence for Life. This is exemplified by the word Cortesia, derived from the 12th century ancient French word cortese, meaning a deep noble courtesy, i.e. reverence and respect for life. 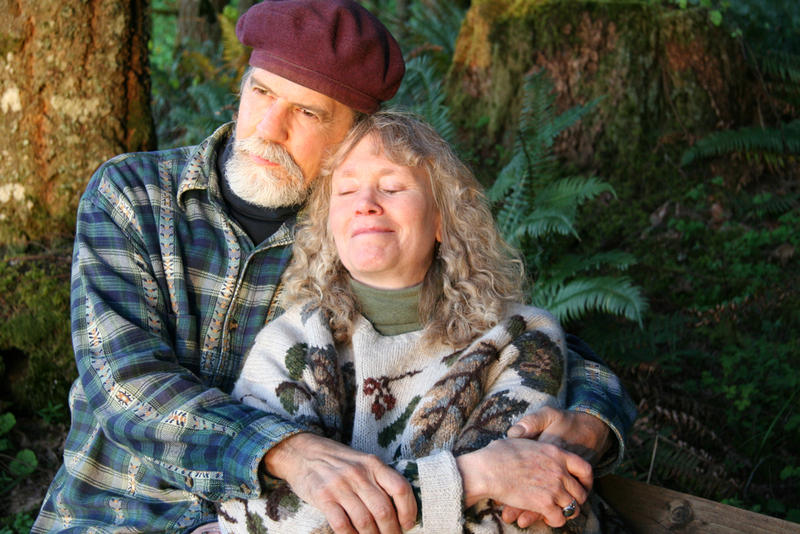 For over 34 years, our 22-acre wooded ridge top Cortesia Sanctuary, high above Eugene, Oregon, has been the creative and spiritual hub for all our endeavors. It has fueled our passion for organic gardening (2-acres!) and teaching others how to grow their own food. Our two gardening guides are used by millions of people worldwide: Home Composting Made Easy, and Grow Your Own Food Made Easy. Our bestselling The Sanctuary Garden inspired a worldwide movement to create peace, healing, quiet and sanctuary gardens. For many years, our Garden Stewards Project created hundreds of raised-bed gardens for people in need in Oregon. No gifts sacrificed here! Now that we are 70 years old, and the world is strangely different, we see even more the need for people to sustain their own food supply and to create a sense of sanctuary and peace daily. Of course, with age comes concern of health and fitness. Mother Nature provides a natural pharmacy for health and healing. At Cortesia, we naturally integrated healing plants into our gardens and began creating herbal remedies for family and friends. The foundation of our herbal practice, you now see, comes from a deep respect for life — from the word Cortesia. And the foundation herb for all our remedies is Solomon’s Seal. Why? Having used it as a tincture for our muscular-skeletal issues with success, we were convinced this ancient plant (medicinally used for 4,000 years!) was a significant herb with great restorative potential. Fifteen years of sales have provided us with repeated verification by satisfied customers that this is true! As trained health professionals, educators, AND gardeners, we have passionately studied the diverse healing attributes of herbs and flowers for decades. Natural herbs are actually whole concentrated foods that are restorative to the body. This means that the unique phytonutrients of a particular plant work to assist and catalyze the body’s natural systems to deal with both cause and symptoms. This natural process is significantly affected when synthetically derived chemicals and pharmaceuticals are used instead (and which mostly deal with symptoms). The creation of each remedy is a dedicated process under the strictest of FDA and other health regulatory guidelines. It begins with purchasing the highest quality organic herb, complete with certificates of analysis of purity. The repeated process of agitated maceration and cold percolation in small batches is able to extract the highest amounts of phyto-medicinal and nutritive elements from the plant. These elements are suspended in the alcohol liquid and have high bioavailability. This is why our remedies are highly praised for potency and effectiveness! All our organic products are created in small batches in a FDA-inspected facility in Eugene, Oregon. 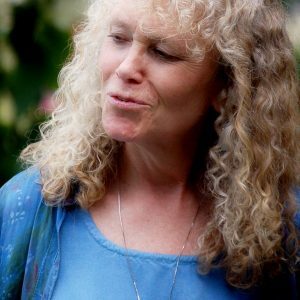 For over 40 years, Tricia has been a passionate gardener and herbalist. Her knowledge and expertise is the genius behind our selection of herbs, remedies, and products based around the restorative benefits of Solomon’s Seal. Add to this Tricia’s deep inner sensitivity to flowers that allow the creation of blended Cortesia Flower Essences. 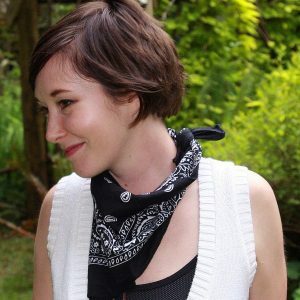 Tricia is also a traveler, photographer and artist who loves to capture the simple life of people and cultures on very personal terms, including their gardens. She has found critical aid using herbal remedies for several muscular-skeletal conditions related to back, hips, knees and feet. Forrest provides his 50 years of expertise in wellness care and advocacy to Cortesia Herbal Products. He is responsible for the white paper Blog articles, posts promoting practical health strategies, maintenance of accurate website information, and more. 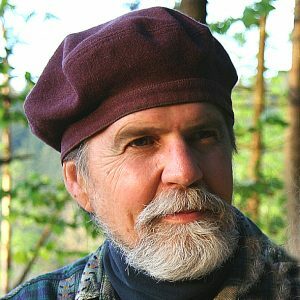 An accomplished performing guitarist and composer, author, and passionate outdoorsman, Forrest has successfully treated his contraction of Lyme disease in 2011 via natural and herbal restorative strategies, including the important use of transdermal Magnesium sprays. Although she grew up in a strawberry patch at the 22-acre Cortesia Sanctuary, Sonji has enjoyed extensively traveling North America. This has allowed her to have compassion for many who cannot understand or afford health care for certain conditions. An accomplished artist, gardener and animal lover, Sonji has dealt with personal health issues that have allowed her to experiment with numerous interventions and to become widely knowledgeable about practical strategies. She oversees the production and quality of our Magnesium sprays. Nicole is a lover of life, the natural world and health. 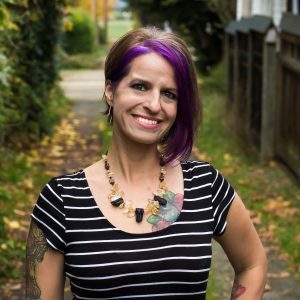 A professional photographer, published writer, and marketing consultant, she is also passionate about wellness and customer support. Her creative fresh ideas help us improve our products and customer service. She enjoys creating her own organic beauty products, organic gardening, trail running, and enjoying her family and pets. You can appreciate Nicole’s efforts in the contemporary look and promotion of our products via the website and social media.